It may be a harmless condition, but a skin rash can be unsightly and bothersome. Unless your rash is caused by a food allergy, there's no special diet or food that's going to help cure your condition. However, there are foods that contain nutrients that might promote skin health and reduce inflammation. Consult your doctor to discuss how best to treat your skin rash. Glucose is the primary source of fuel for your skin, while proteins provide the amino acids necessary to build the skin cells that form your dermis and epidermis. Beans, which includes kidney beans, black-eyed peas, chickpeas, navy beans and pinto beans, are rich sources of both carbs, which turn into glucose, and protein. Starting with a good foundation of these essential nutrients may help promote the growth and health of new skin to help heal your rash. Carrots, acorn squash, sweet potatoes, mangoes and cantaloupe are all rich sources of beta carotene, which is an antioxidant and precursor to vitamin A. This fat-soluble vitamin is an important component of your skin. For your rash, adequate intakes of these brightly colored fruits and vegetables may help promote healing and reduce inflammation. The vitamin A in these foods is also important for immune health, which may be helpful to those with a rash caused by a virus such as shingles. Upping your intake of vitamin C-rich foods may also help promote the healing of your skin rash. As an antioxidant, the vitamin C may also protect your skin from oxidative stress, helping to reduce inflammation. Eating foods such as green and red peppers, grapefruits, oranges, strawberries, cantaloupes, potatoes, spinach and broccoli can help you get more of this skin-protecting nutrient in your diet. Fatty fish such as salmon, tuna and sardines are rich in omega-3 fatty acids, which are essential fats that help reduce inflammation. 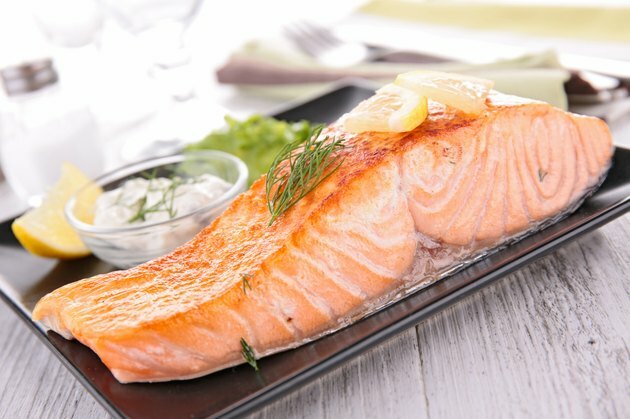 Although more research is necessary, there's evidence linking the intake of omega-3s with an improvement in the skin rash caused by psoriasis. Flaxseeds, walnuts, pumpkin seeds and soy oil are also good sources of the anti-inflammatory essential fat.